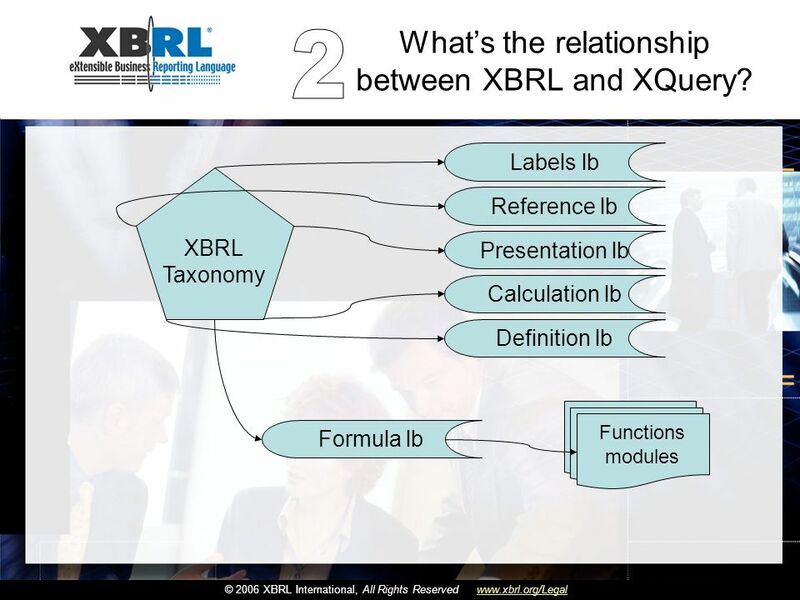 © 2006 XBRL International, All Rights Reservedwww.xbrl.org/Legal Ignacio Hernández-Ros Technology development XBRL International Using XQuery to process. 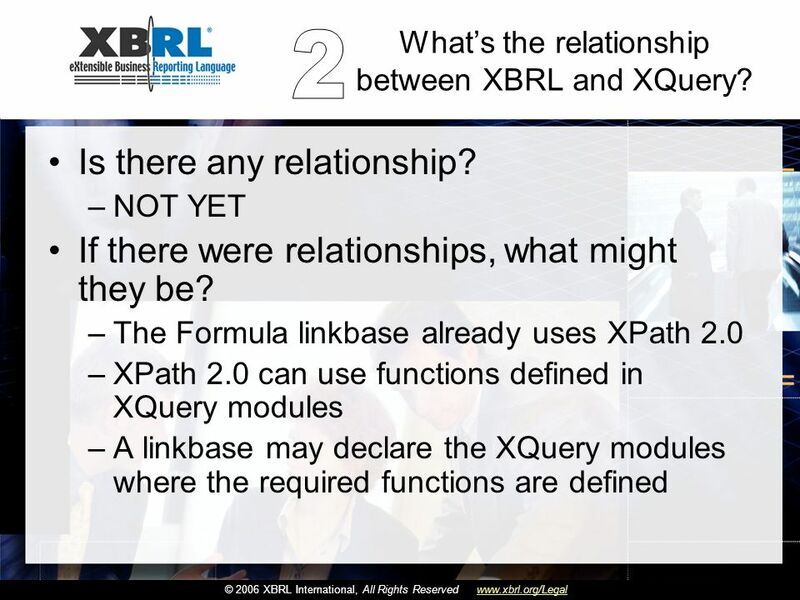 5 Haga clic para cambiar el estilo de título Haga clic para modificar el estilo de subtítulo del patrón © 2006 XBRL International, All Rights Reservedwww.xbrl.org/Legal Whats XQuery Comparing XQuery with XPath 2.0 –Both have more things in common than differences. 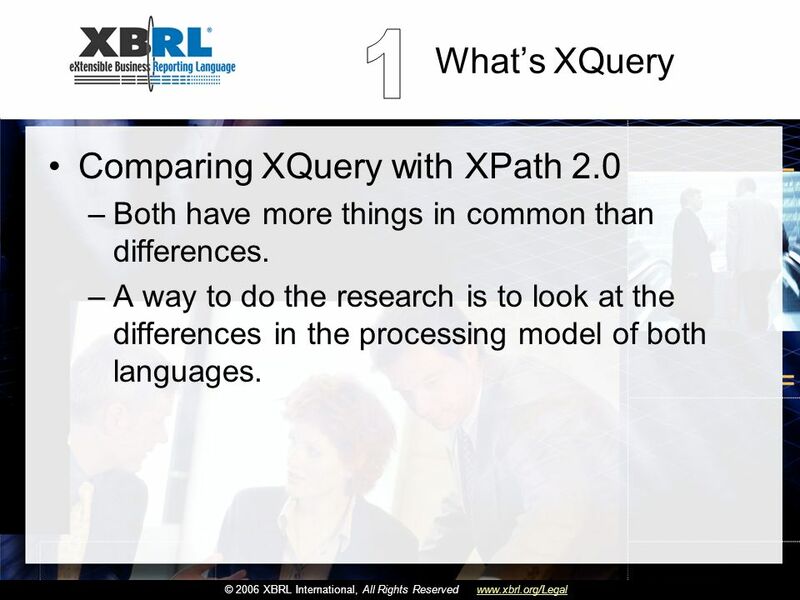 –A way to do the research is to look at the differences in the processing model of both languages. 10 Haga clic para cambiar el estilo de título Haga clic para modificar el estilo de subtítulo del patrón © 2006 XBRL International, All Rights Reservedwww.xbrl.org/Legal What is XQuery So, XQuery supports: –modules and –strong XML schema validation. 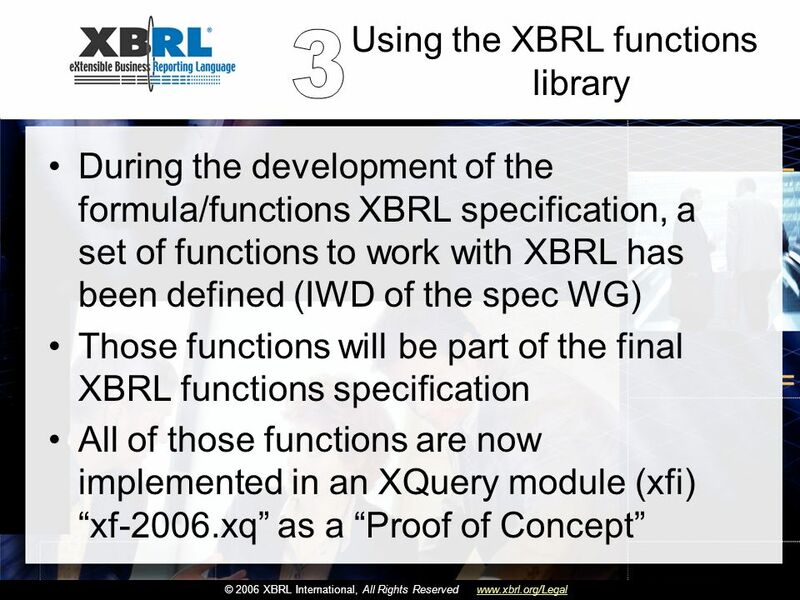 –Plus a uniform platform to access/execute the code. 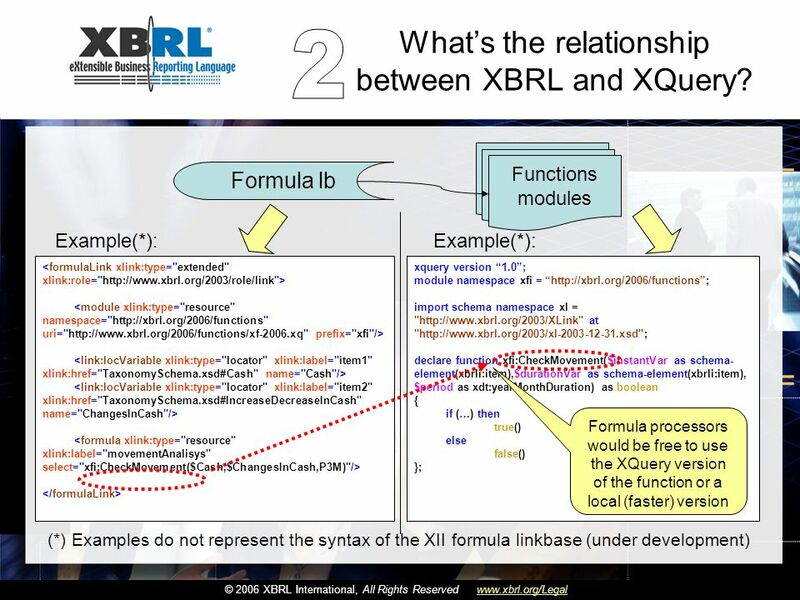 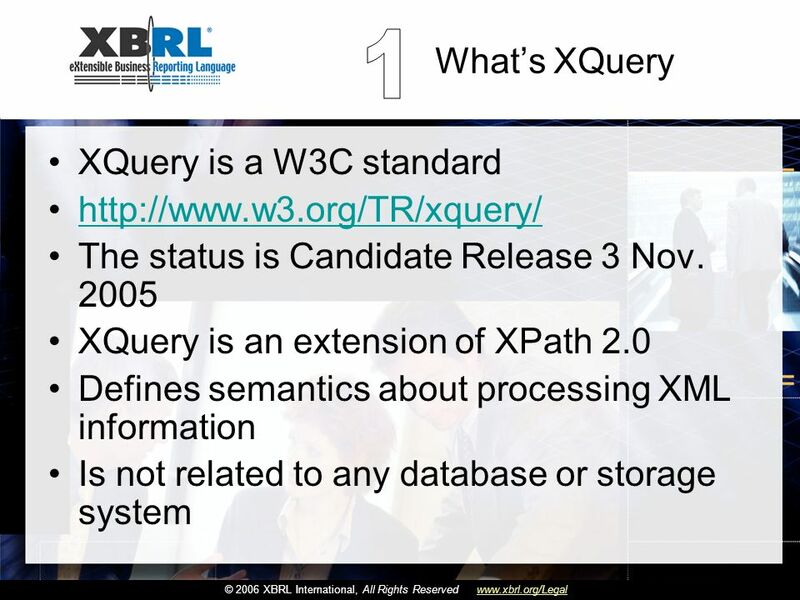 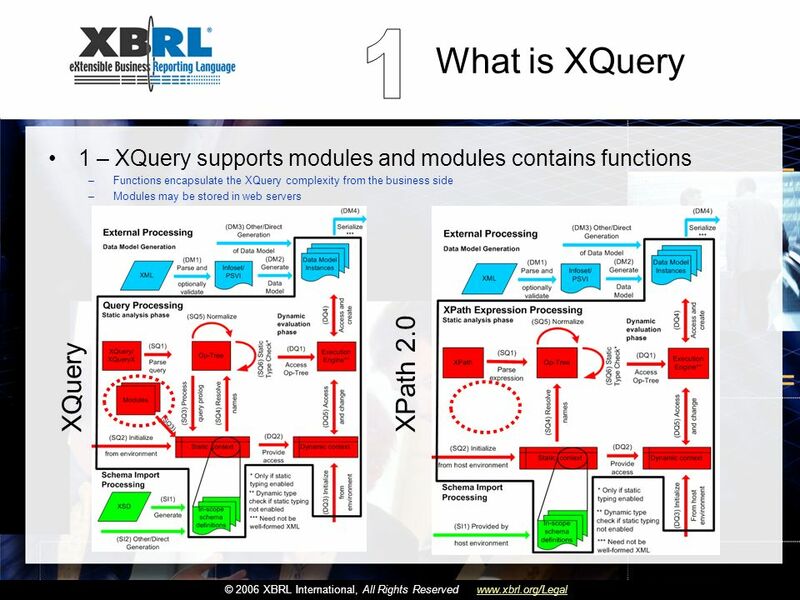 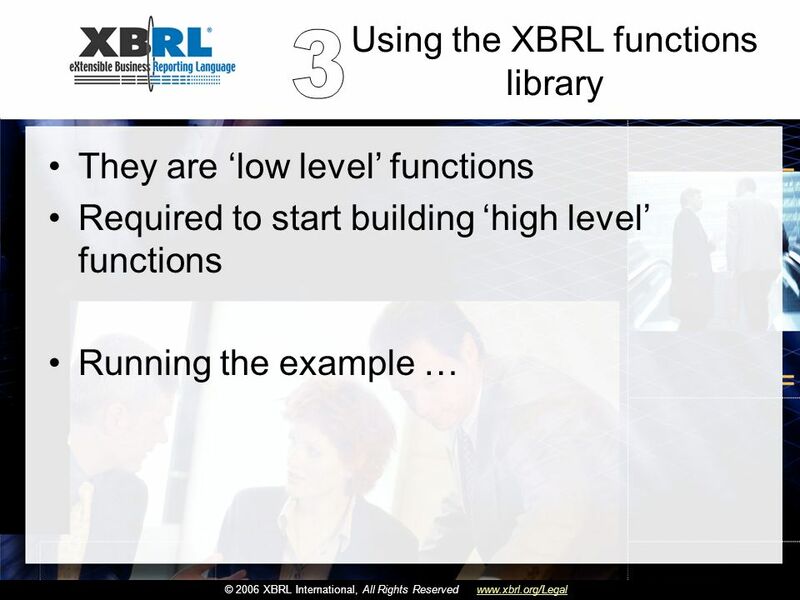 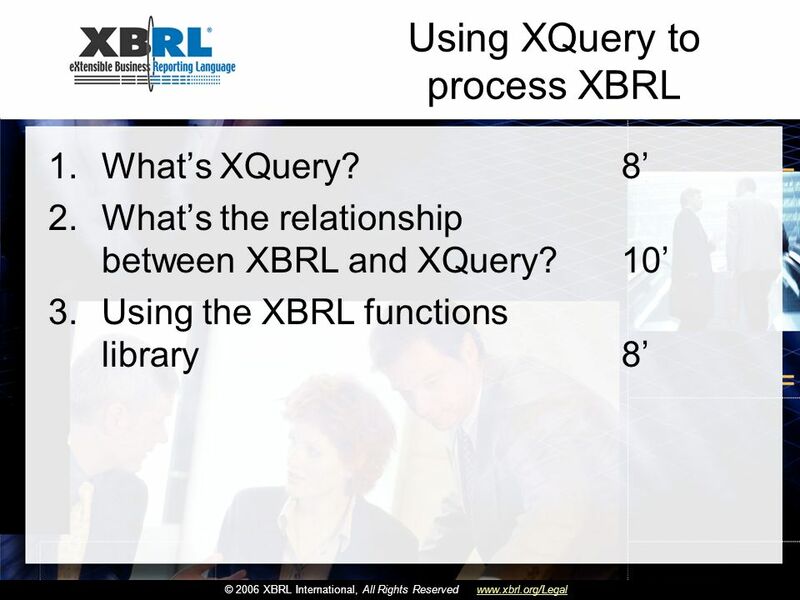 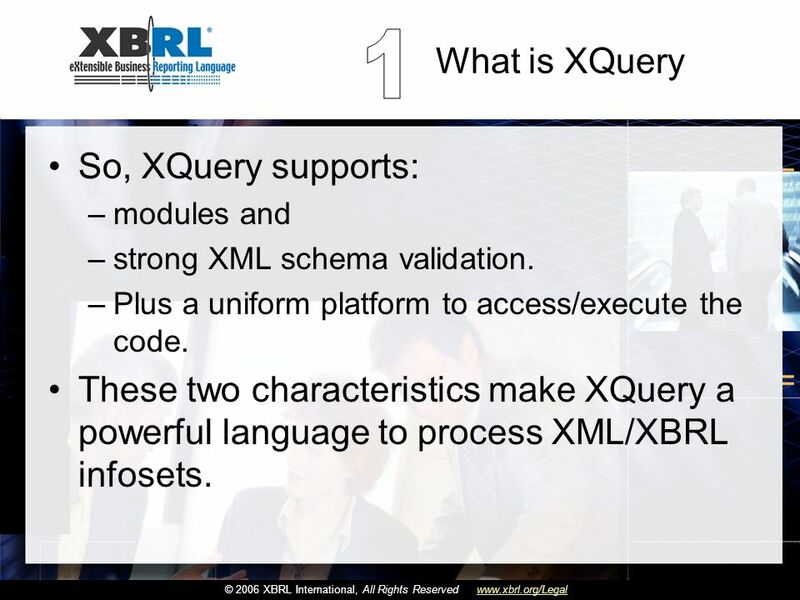 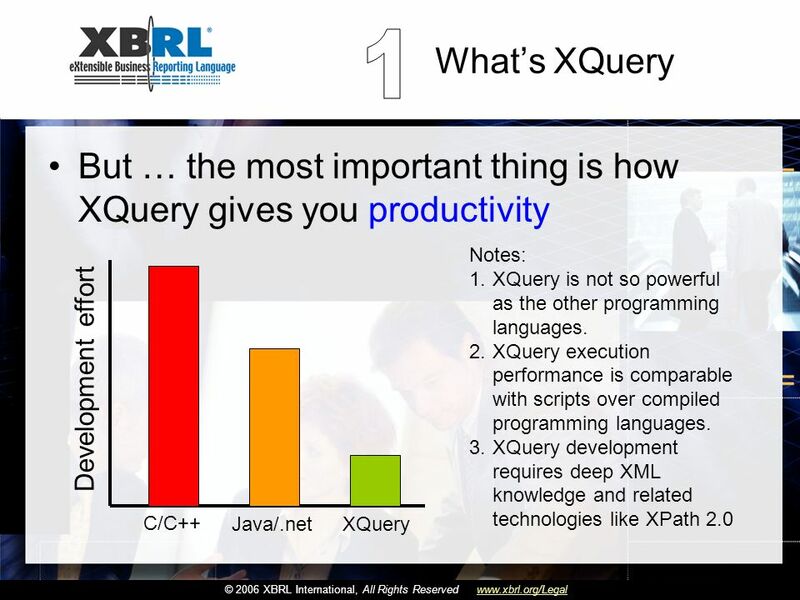 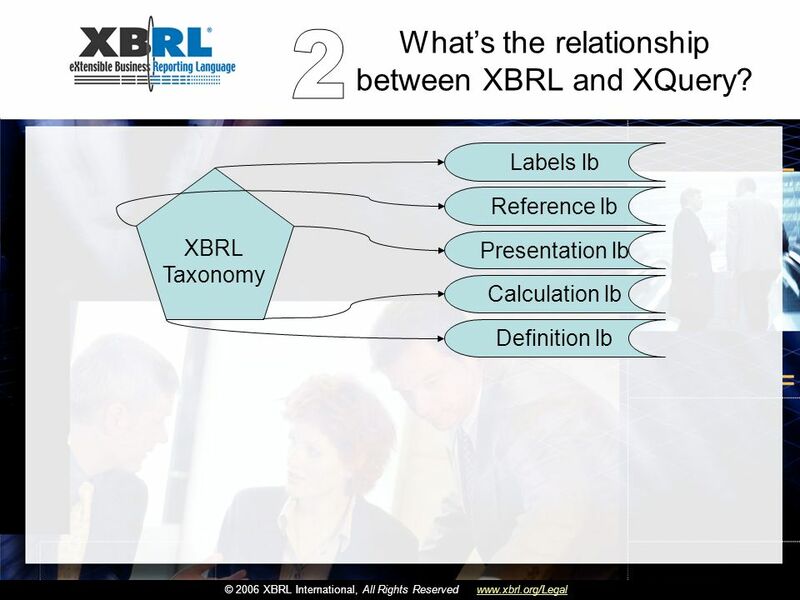 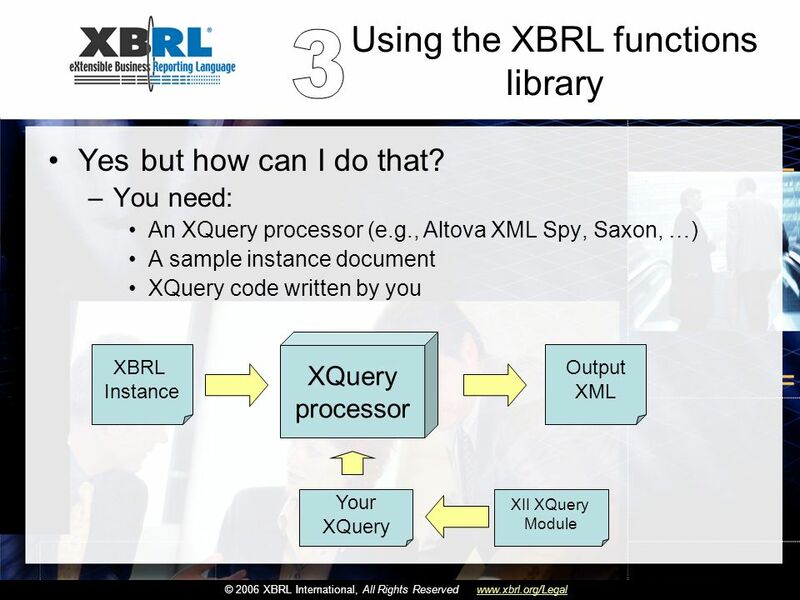 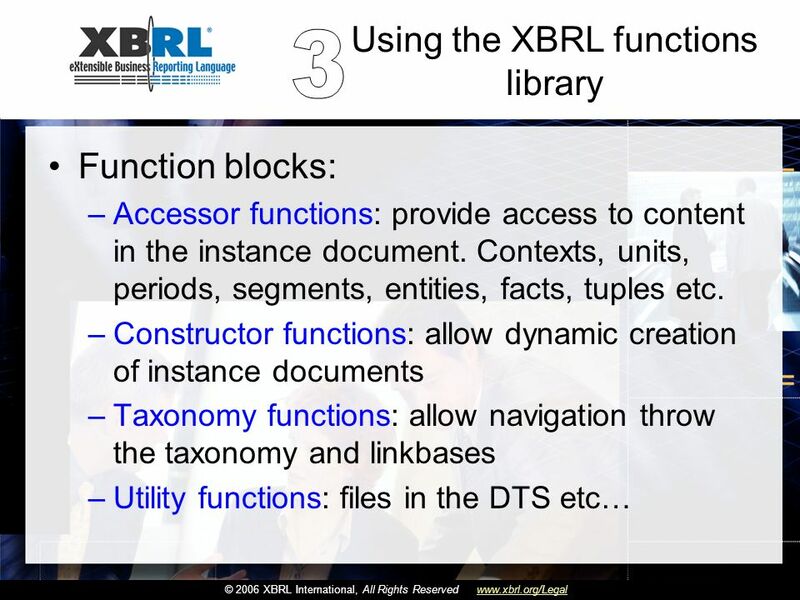 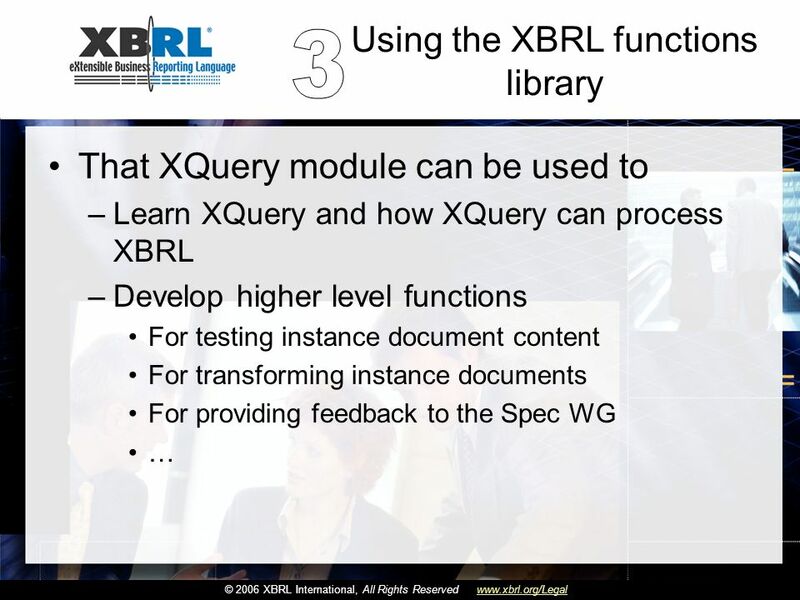 These two characteristics make XQuery a powerful language to process XML/XBRL infosets. 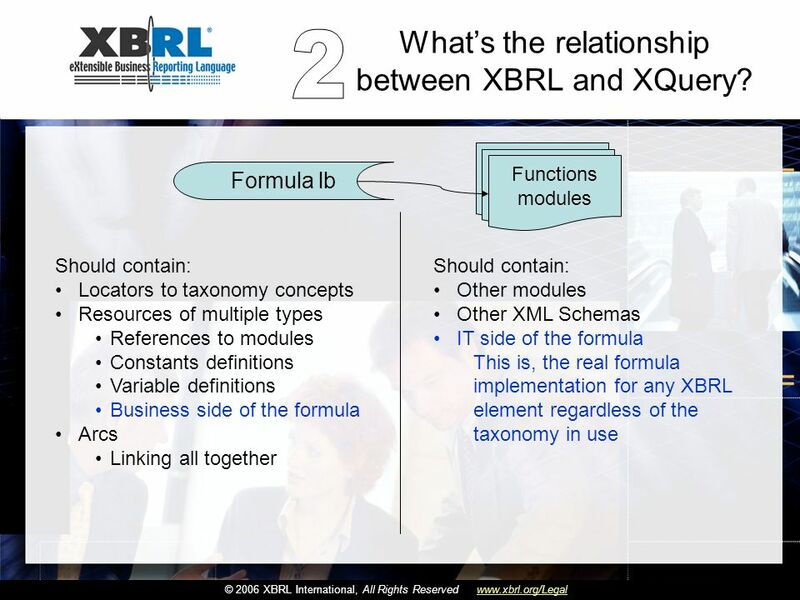 24 Haga clic para cambiar el estilo de título Haga clic para modificar el estilo de subtítulo del patrón © 2006 XBRL International, All Rights Reservedwww.xbrl.org/Legal Thank you! Descargar ppt "© 2006 XBRL International, All Rights Reservedwww.xbrl.org/Legal Ignacio Hernández-Ros Technology development XBRL International Using XQuery to process." 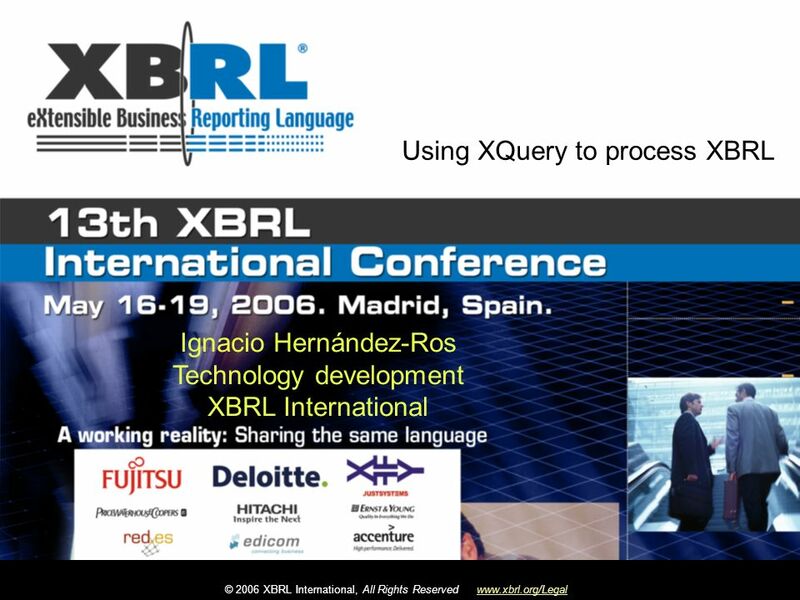 Español la memoria (2): cómo trabajarla bien en grupos. 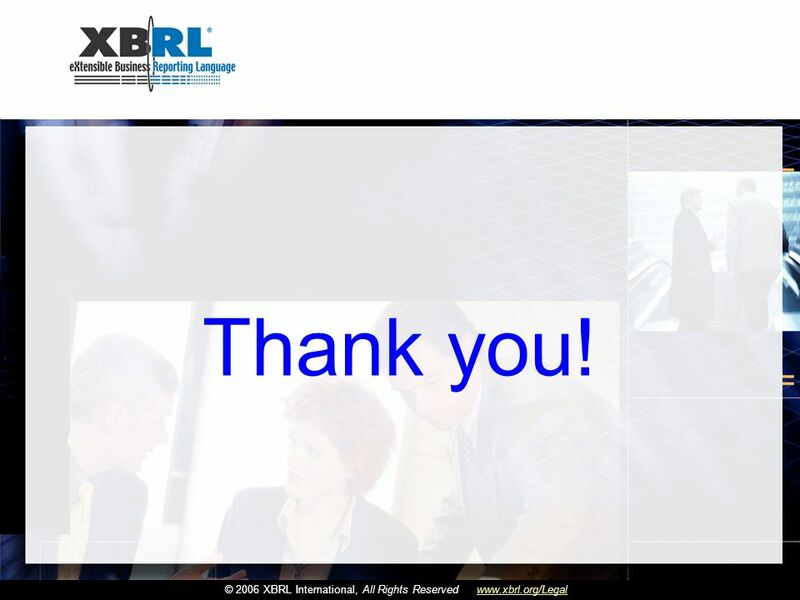 The Subjunctive In this slide show, we are going to look at a verb form that has all but disappeared from English – the subjunctive! 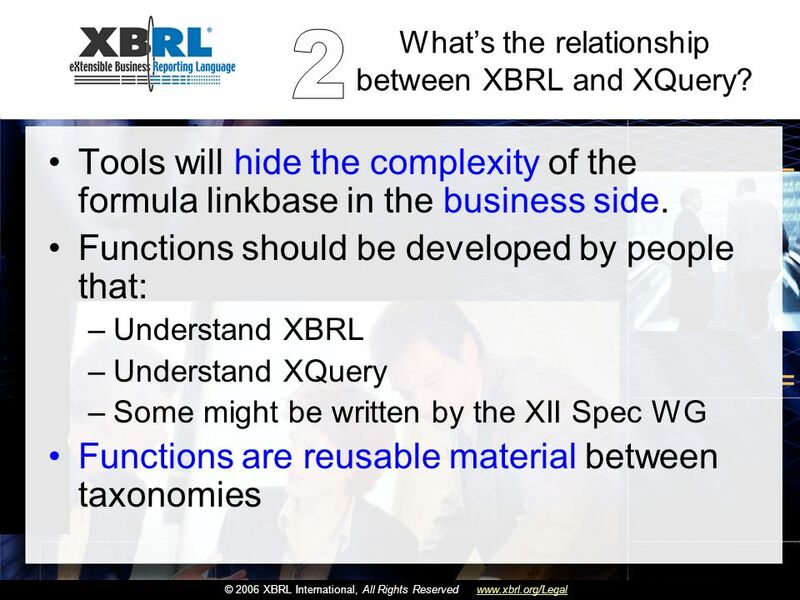 1 DEFINITION OF A CIRCLE and example CIRCLES PROBLEM 1a PROBLEM 2a Standard 4, 9, 17 PROBLEM 1b PROBLEM 2b PROBLEM 3 END SHOW PRESENTATION CREATED BY SIMON.